You may don’t know her, but Adele is a talent that is verging on popularity. Her soulful voice made her won the Critic’s Choice for the 2008 Brit Awards. After dominating the radio airwaves, singles charts in the UK with her critically acclaimed “Chasing Pavements”, Adele is back with a re-release of the song “Hometown Glory” which is being released towards the end of July 2008. The song which was originally released last year after her showcase in London is about her love for her hometown, London, England. The song which was mostly played with the Piano and incorporated with some violin is follow up to her single “Cold Shoulder” which eventually didn’t quite made an impression with the UK audience. Her musical style is yet to be recognised. She maybe giving the public songs about her personal dilemma, or what her view about life is but nonetheless, Adele is still finding what genre she does belong. Her album “19” isn’t giving much aplomb about her identity as a singer because of the lack of fire that is very much expected whenever she sings in front of the stage or in front of the studio microphones. Adele is yet to give the whole world a nice view on what she can really do. The song is quite amusing and can beat all other piano themed songs that had made a breakthrough into the soundtracks of your favourite drama series. Yes, it was featured before on Grey’s Anatomy etc. But I’m sure this one is one heck of a song. I mean, it is the type of song you would want to listen when you’re sober to kinda mix with your current emotion. 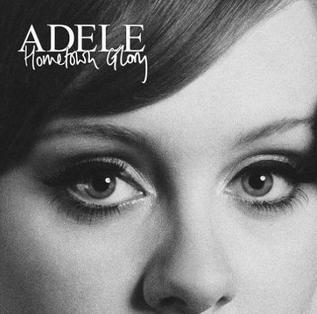 This entry was posted on July 29, 2008 at 5:05 pm and is filed under Single Reviews with tags 19, Adele, Hometown Glory. You can follow any responses to this entry through the RSS 2.0 feed. You can leave a response, or trackback from your own site.